Nothing cleans glass and chrome surfaces like this product. 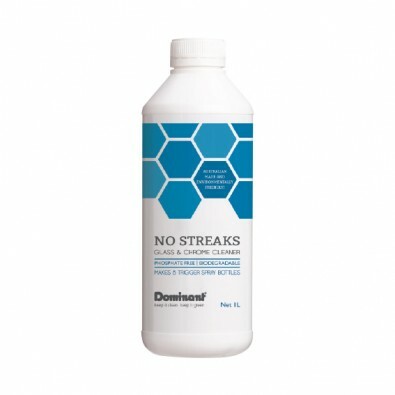 Say goodbye to streaks and hello to shiny, clear surfaces. The economical concentrate saves time, money and the environment! Add a refillable trigger spray bottle from the accessories tab below and begin saving today! A fantastic, economical product, mild fragrance and excellent results! 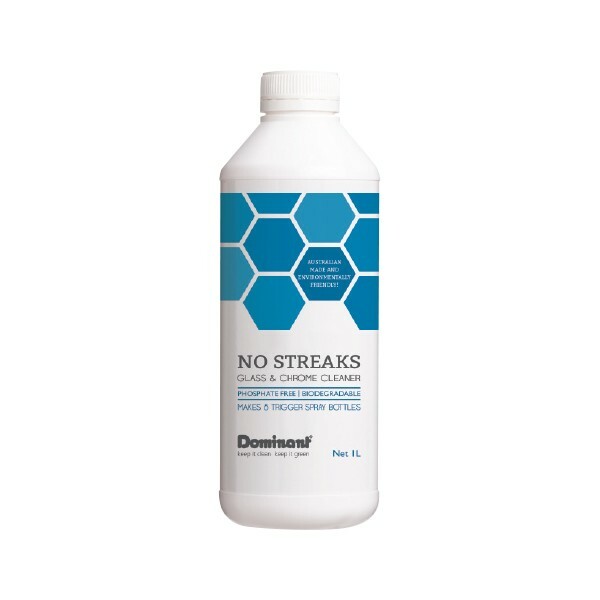 Perfect for mirrors, showers screens, streak free cleaning without the muscle work. Love this glass cleaner for shower doors, windows and mirrors. The scent is pleasant and no streaks are left behind when wiped. It removes splash marks easily with one spray and wipe. Great product. The Glass & Chrome Cleaner is the BOMB. Another super cheap product from these guys where the one litre bottle mixed with water will save a fortune. And this leaves Windex for dead at doing windows and mirrors. This is perfect for cleaning the front of my oven and microwave! I can glide over the glass and the stainless steel without having to worry about spraying on the wrong surface. It even got the baked on chip grease off my oven door! I keep a bottle in the shower and use it to quickly wipe down the screen when I have finished showering and its kept that horrible film that you get on shower screen from forming and keeps my taps nice and shiny.Because its so cheap I can afford to use it everyday instead of the weekly scrub used to have to do with my previous product.